﻿Criminal Case : Automatically Get Reports Fast !! Need Reports in Criminal Case ? Can't unlock your next case ? Get 3 reports quickly and automatically to unlock your next Criminal Case. Are you frustrated waiting for your friends to send the 3 Reports needed so you can move on to your next Criminal Case? 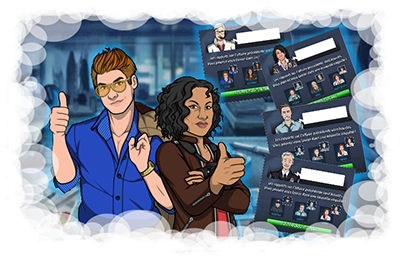 Maybe you do not have many Criminal Case Teammates and you are left waiting for days to unlock your next case? Now, You can get 3 Criminal Case reports automatically to unlock the next case without waiting for help from your Criminal Case Friends on Facebook. Enter your user ID and your Criminal Case signature in the form below and click " Automatically Get Reports"
Now you can end the waiting. With this Criminal Case Tool you are able to Automatically Get Reports Fast! Watch Video Demo Below it Will Show You How To Find Your user Id and Signature.